The Faculty of Medicine at The Chinese University of Hong Kong (CUHK) conducted the world's first multi-specialty clinical trial using the "Single Port Minimally Invasive Robotic Surgical System". More than 60 patients underwent single port robotic-assisted minimally invasive surgery (MIS) as part of this trial and demonstrated that multiple procedures could be performed through a single entry site. The novel system allows surgeons to reach deep spaces previously difficult to reach, like the nasopharynx and the hypopharynx, to carry out delicate procedures with precision. 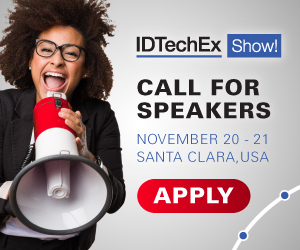 For more information see the IDTechEx report on New Robotics and Drones 2018. All instruments are incorporated in a single robotic arm that operates through a 2.5 cm cannula. MIS was introduced to the Faculty of Medicine at CUHK in June 1990. The aim of this surgical technology is to minimise the size of incisions, reduce trauma and pain suffered by patients, enable faster recovery and lower the risk of infection. It has become more commonly practised and advanced in Hong Kong and can be applied to the removal of gallstones, tumors of the gastrointestinal tract, adrenal gland and even hepatectomy. In 2005, minimally invasive robotic surgery was introduced in the Faculty. The multiport robotic-assisted system consists of 4 arms which are used to control the surgical instruments and the endoscopic camera that are placed in the surgical field via 4 pencil-sized "keyhole" incisions. World's first multi-specialty clinical trial proved the novel system is safe and feasible in performing MIS particularly through natural orifices. The Faculty of Medicine at CUHK conducted a clinical trial from 2016 to 2017 on the feasibility and safety of the "Single Port Minimally Invasive Robotic Surgical System" in three different surgical specialties, including Otorhinolaryngology, Head and Neck Surgery (ENT); Urology, and Colorectal Surgery. There were no device-assisted or serious adverse events in any cases. Dr. Jason Ying Kuen CHAN, Assistant Professor, Department of Otorhinolaryngology, Head and Neck Surgery of the Faculty of Medicine at CUHK, stated, "Taking transoral robotic surgery as an example, the robotic arm of the new system allows truly minimally invasive access to previously more difficult to access sites including the nasopharynx, larynx and hypopharynx. The system makes it possible for the surgeon to better dissect critical neurovascular structures with the instruments and camera in a working space that is roughly the size of a tennis ball. We believe the advance in the technology offers a platform from which surgeons can develop novel approaches to handling cases, with minimal invasiveness, to facilitate patient recovery and minimise morbidity." Professor Simon Siu Man NG, Professor from the Division of Colorectal Surgery, Department of Surgery of the Faculty of Medicine at CUHK, added, "Our Faculty was selected to conduct this clinical trial showcases that we are recognised globally as the pioneer in developing MIS. Our credible clinical team, involving surgeons, anaesthesiologists and nurses, are experienced in minimally invasive robotic surgical systems. This helps lay a strong and solid cross-disciplinary working structure to perform world-class clinical trials for the further development of robot-assisted MIS." Professor Philip Wai Yan CHIU, Director of the CUHK Jockey Club Minimally Invasive Surgical Skills Centre (MISSC), hopes the success in the clinical trial will not only enhance and drive the development of medical engineering research, but also help the introduction of the single port surgical robotic system for clinical application in Hong Kong. Professor CHIU stated, "Our clinical trial results have provided valuable data for the introduction of the single port surgical robotic system for clinical use. Certainly the system has a lot of potential applications in other specialties and more patients can benefit from the broader use of this robotic system." Professor Anthony Chi Fai NG, Professor from the Division of Urology, Department of Surgery of the Faculty of Medicine at CUHK, as well as the Robotic Surgery Training Course Director at MISSC, said, "We hope that through the advances in minimally invasive surgery facilities, we can provide an ideal training setting for medical professionals in Hong Kong and neighbouring areas, and become a minimally invasive surgery training ground and research hub in the Asia-Pacific region and at the international level."